Located in the Black Hills of South Dakota, Mount Rushmore is among the oldest — and most recognizable — U.S. monuments. The memorial depicts four American presidents: George Washington, Thomas Jefferson, Theodore Roosevelt and Abraham Lincoln. They represent the first 150 years of American history. Construction began Oct. 4, 1927. It took more than 14 years to create the monument. More than 400 master carvers worked on Mount Rushmore. It cost about $1 million to construct. Each face is roughly 60 feet tall. That’s the size of a six-story building. Originally, each president was to be depicted from head to waist. A lack of funding during the Great Depression forced sculptors to reimagine the massive sculpture. 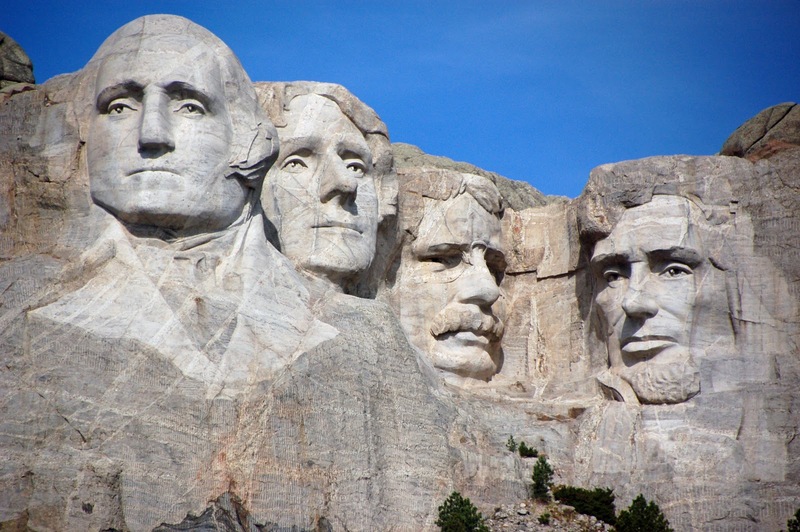 The four Rushmore presidents weren’t chosen at random. George Washington represents our nation’s birth. Thomas Jefferson represents U.S. growth. Abraham Lincoln represents America’s preservation. Theodore Roosevelt represents our country’s development. A cave called the Hall of Records is hidden behind Mount Rushmore. It contains a vault of porcelain panels inscribed with text from the Declaration of Independence, the Constitution and the Bill of Rights. See Mount Rushmore in full detail here. I did not know that each president represented something about our nation. Washington is my favorite. excellent carving, what is the technology behind it, how to carve this type of huge figure to the stone.